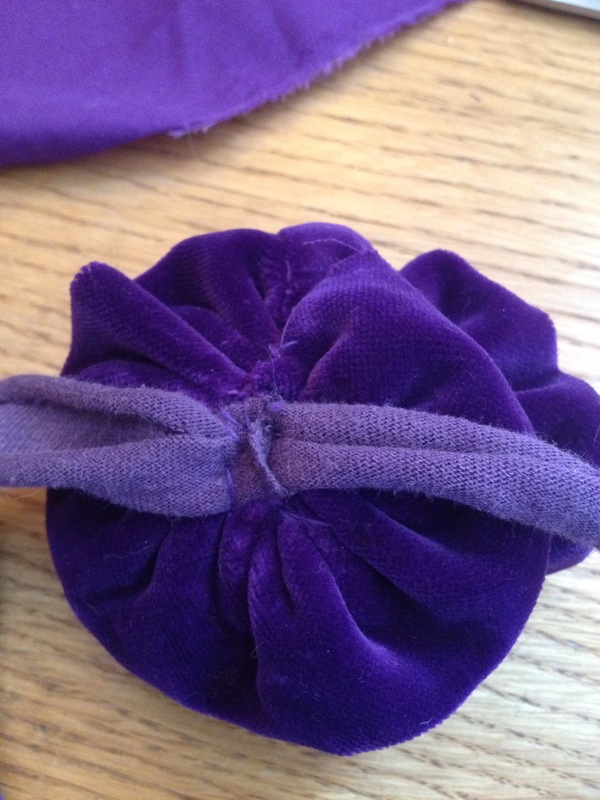 Fabric flowers are a quick and easy way to use a scrap of fabric to make something beautiful for your hair, for a bag, a notepad or anywhere else that you like to put it. I started making these for a mayday celebration for the Stroke association and thought I would spread the joy. This is also a project that people will be able to make at Makerfaire2015. 1. 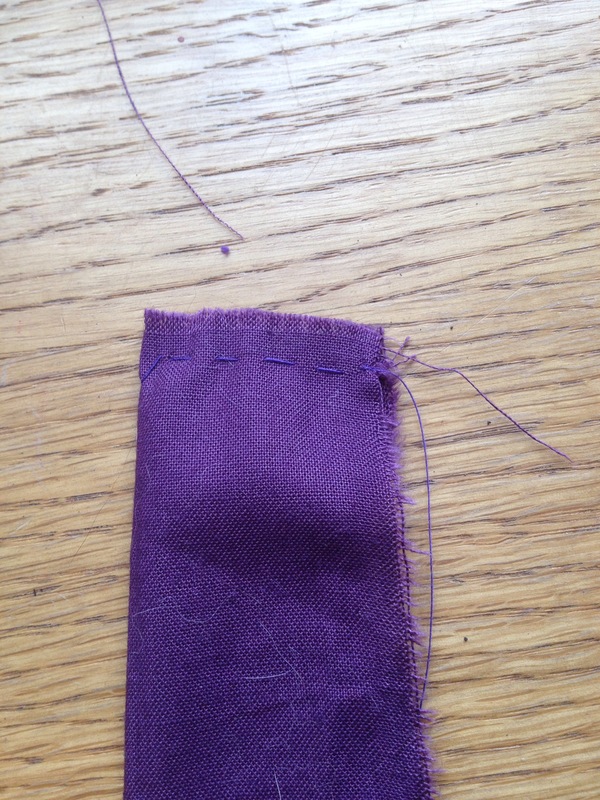 Fold the fabric length ways, if your fabric has a good side then the good sides need to be inside touching each other. 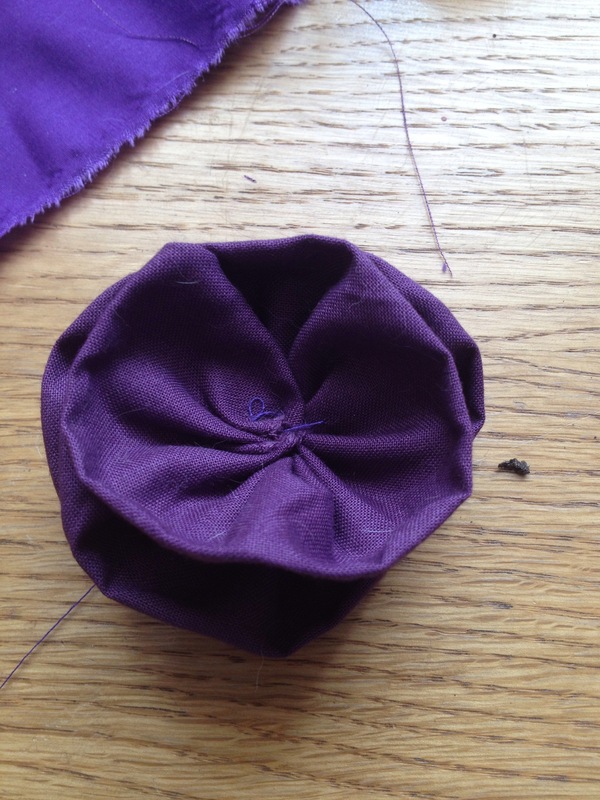 Stitch the ends together, this will be the front of your flower, a running stitch about 0.5cm of hem and knot the thread so that it won’t pull, finally turn the fabric the right way around. 2. 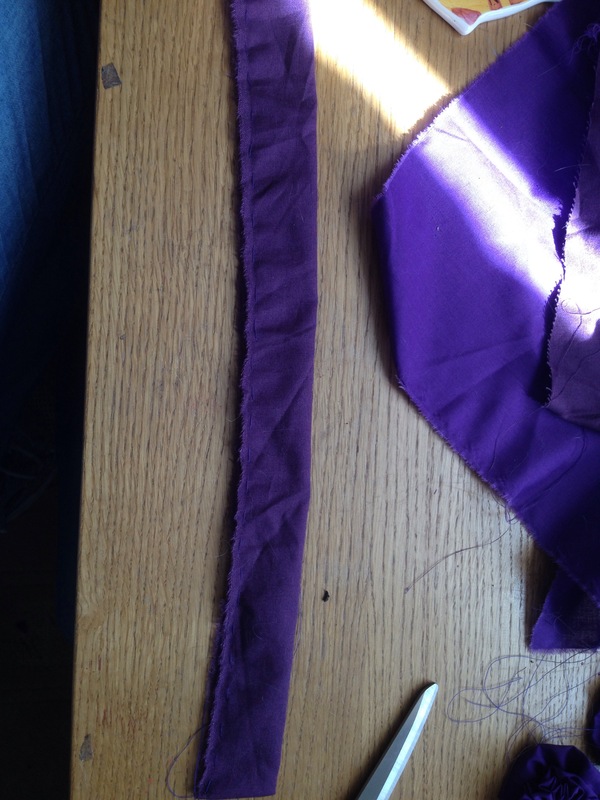 Sew a loose running stick down the entire length of the two pieces of fabric, again about 0.5cm from the edge, making sure that both pieces of fabric are caught and that the cotton doesn’t get caught. 3. Start to pull the cotton, scrunching up the fabric slowly from where you started, once it is as tight as it will go knot the cotton off. 4. Twist the fabric around into a circle, it should build up to 3+ layers depending on how tight you scrunch the fabric in step 3 how tight you make the circles and how long the fabric is. Sew back to front in a couple of places, making sure to sew through all the layers so that the flower holds its shape. 5. 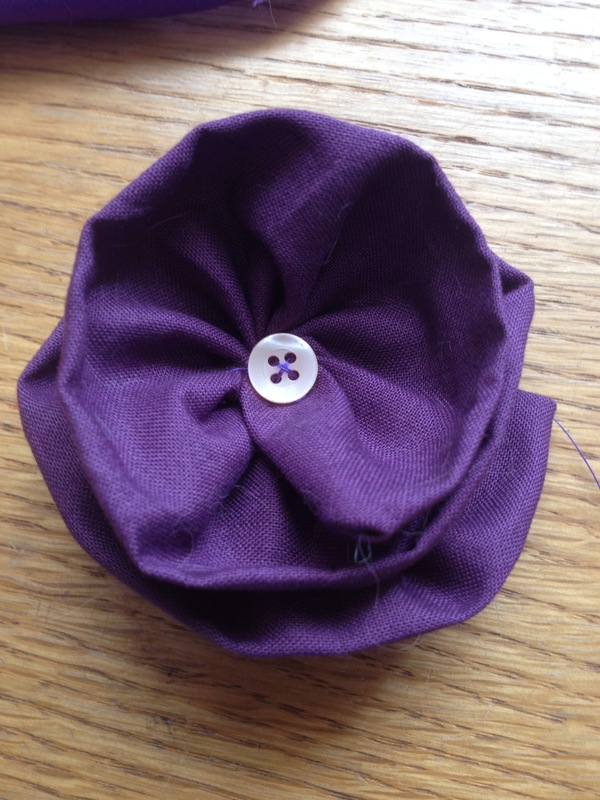 Sew your button in place in the middle to hide the raw edge of the fabric that have gathered in the middle of the flower. 6. 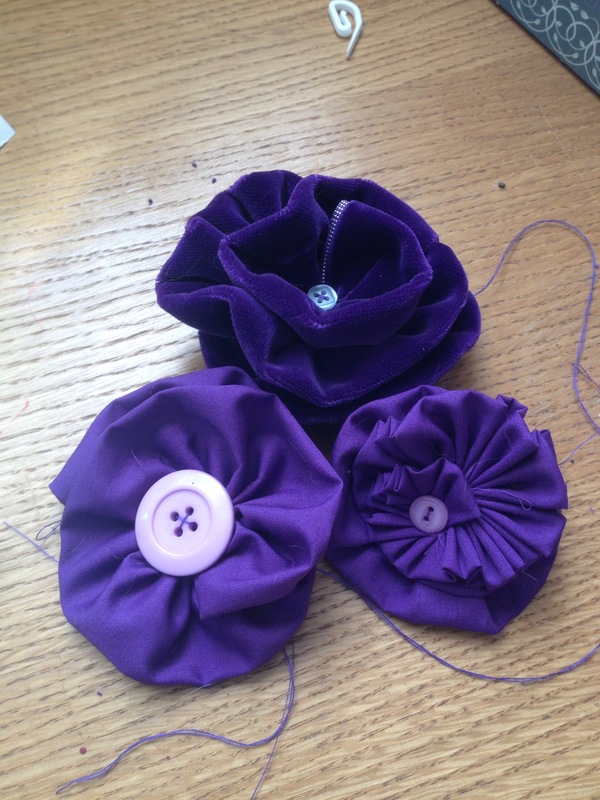 Sew the fixing method onto the back of the flower. they can obviously be sewn directly onto an item of that is what you want. 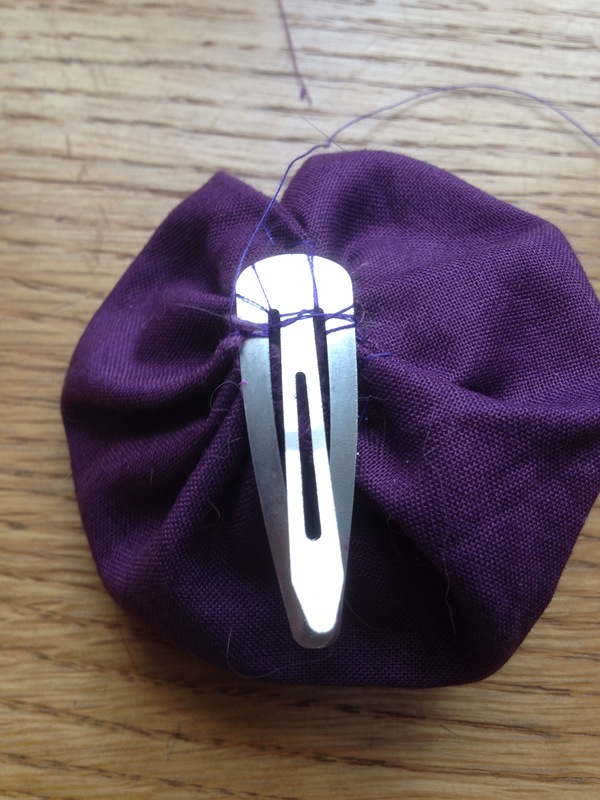 Hair clips need to be sewn at the sides and around the end so that it stays in place, this method works better for lighter fabrics and smaller flowers. 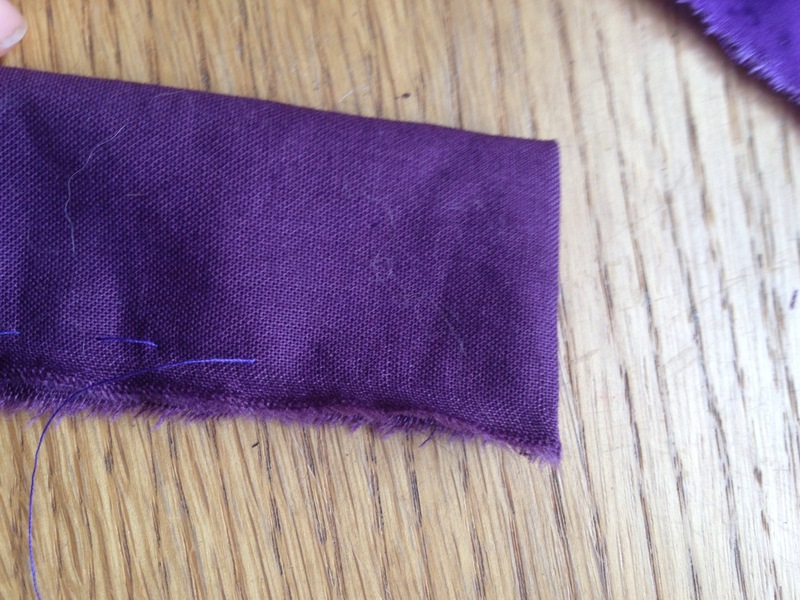 Hair bands can be made from old t-shirt, a strip about an inch thick, will have enough stretch to stay in place. 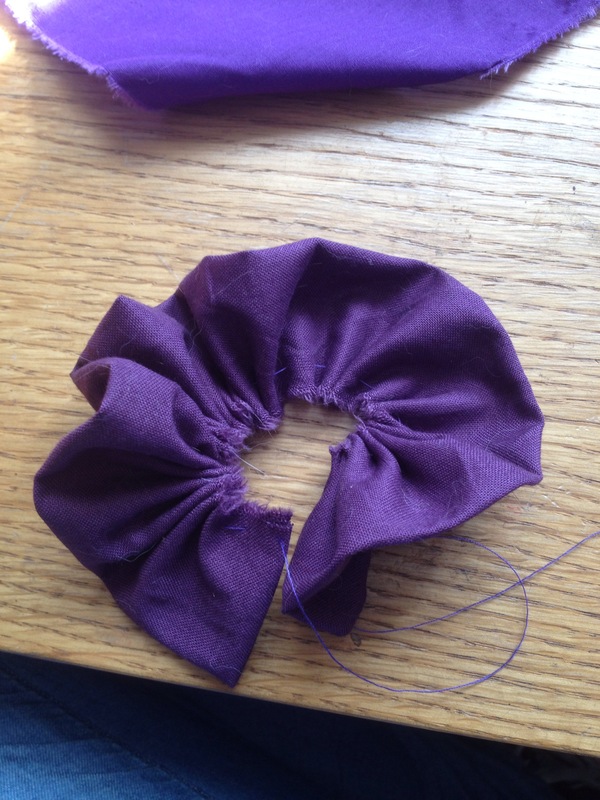 Measure out a piece the same circumference and then sew the two ends together onto the flower. The good thing about most t-shirt fabric is that it won’t fray, the edges will curl in. You can add more than one flower to a headband to make a real statement piece. Badge backs are a good solution if you aren’t sure exactly what you want to use it for, it can obviously be used as a badge but this also allows you to attach it to bags etc. Helpful hints: experiment with sizes, colour, shape and use.